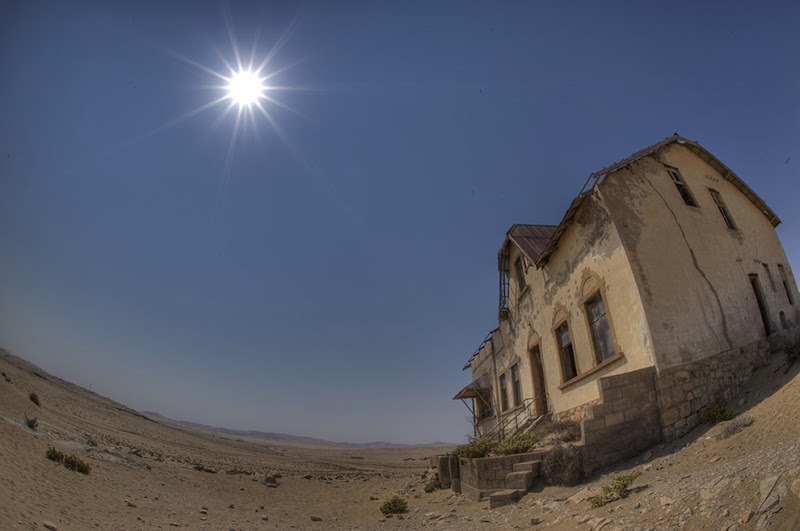 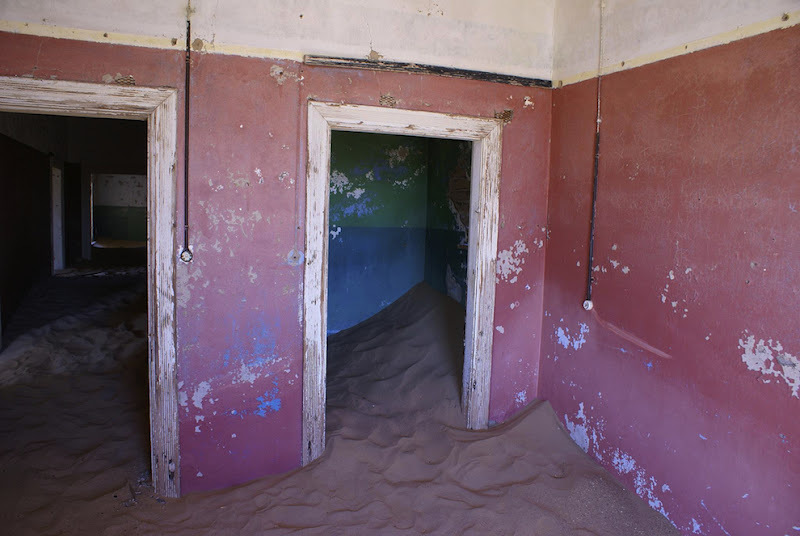 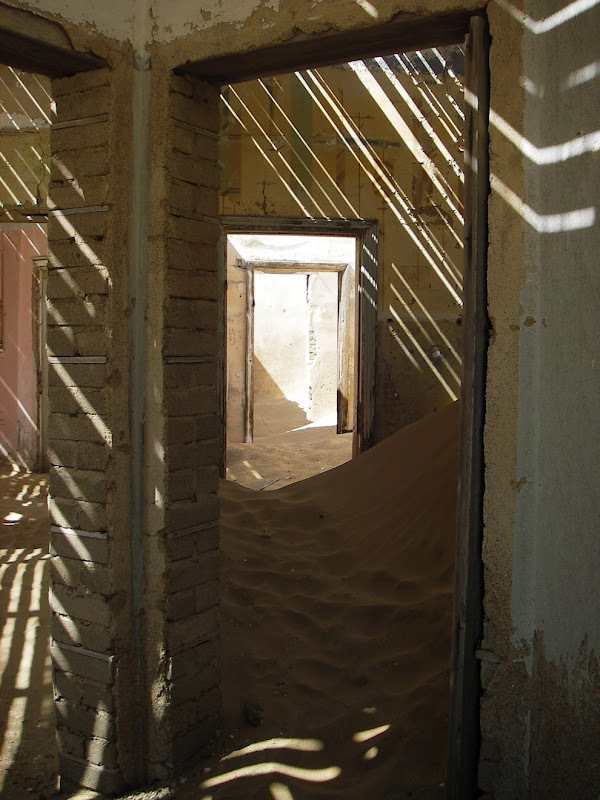 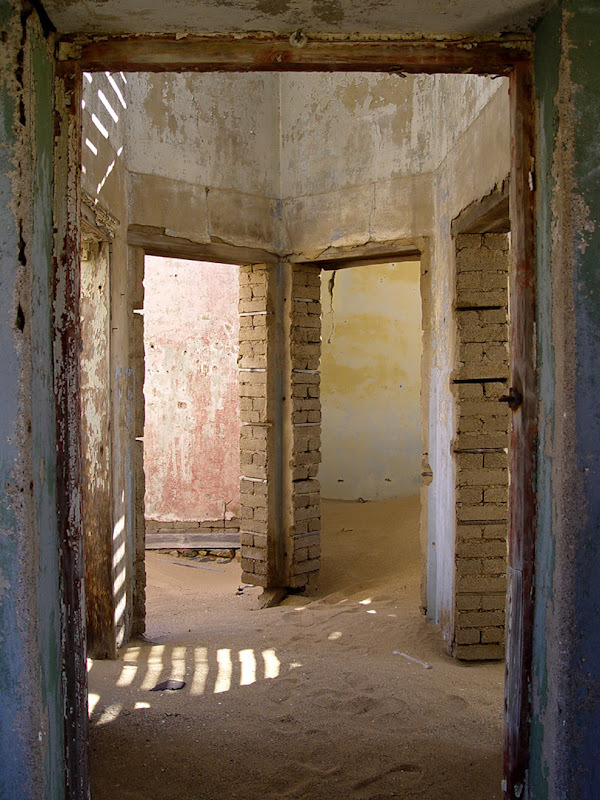 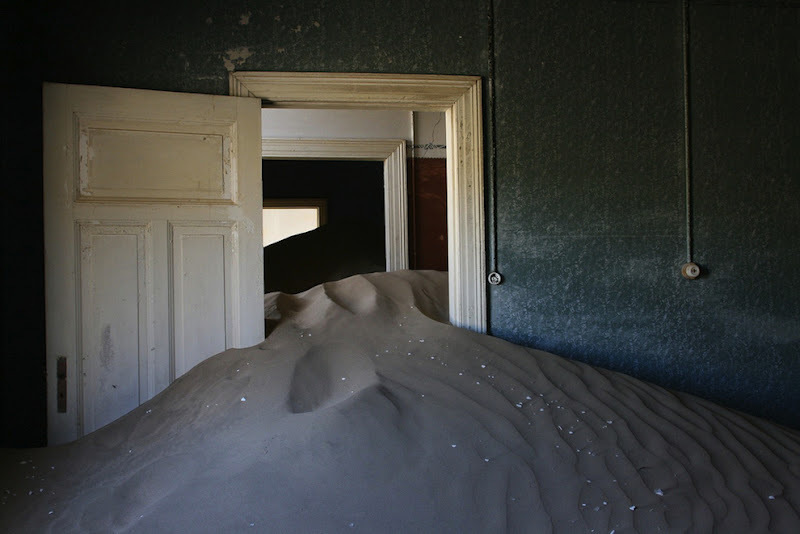 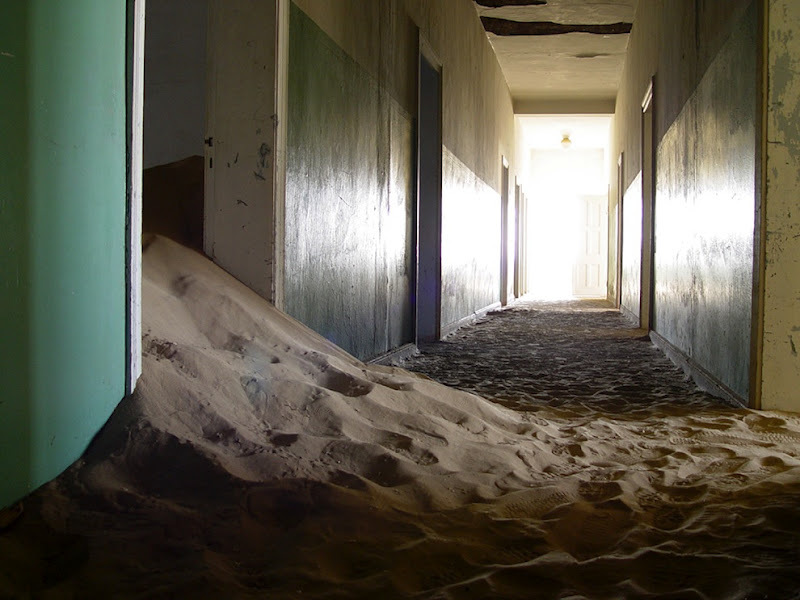 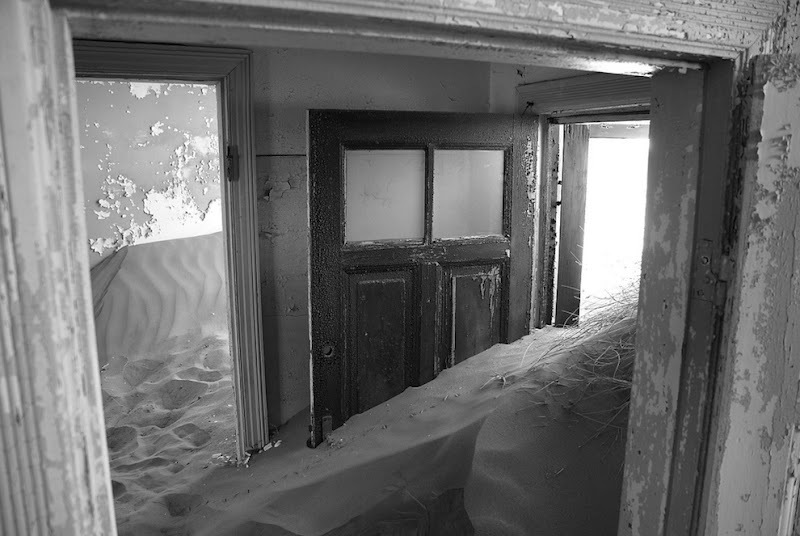 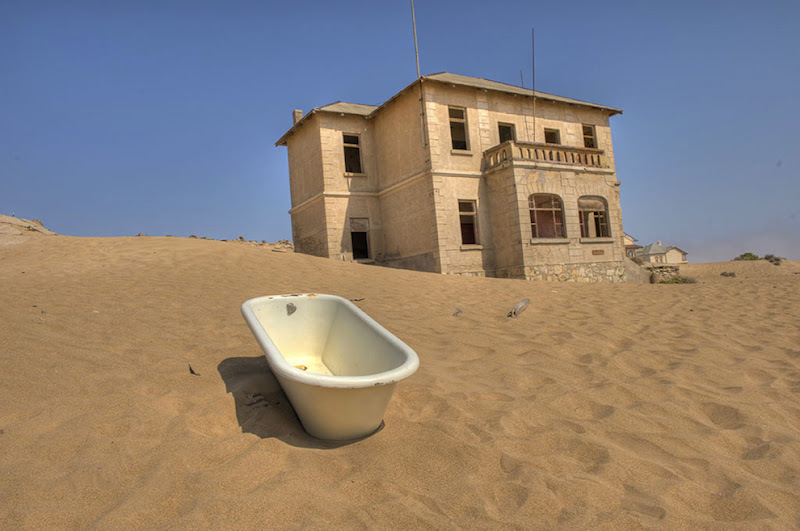 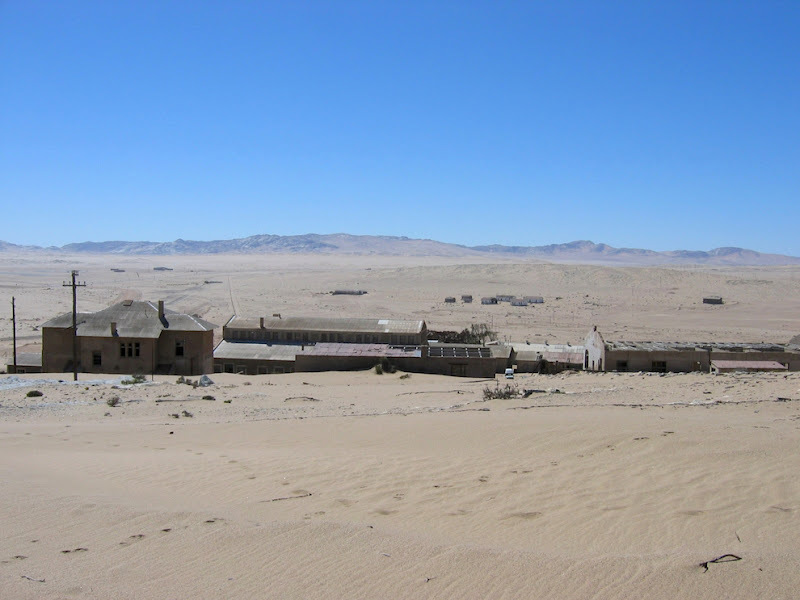 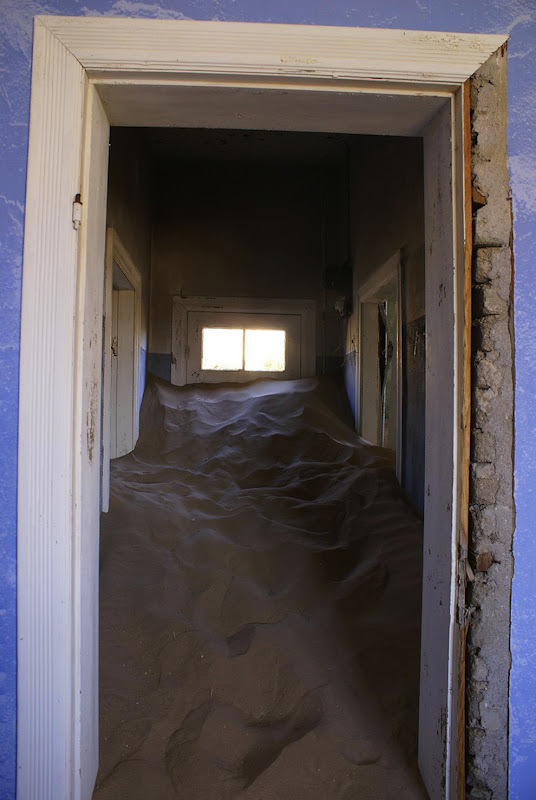 There is a slowly sinking city in the desert of southern Namibia, Africa, a ghost town called Kolmanskop. 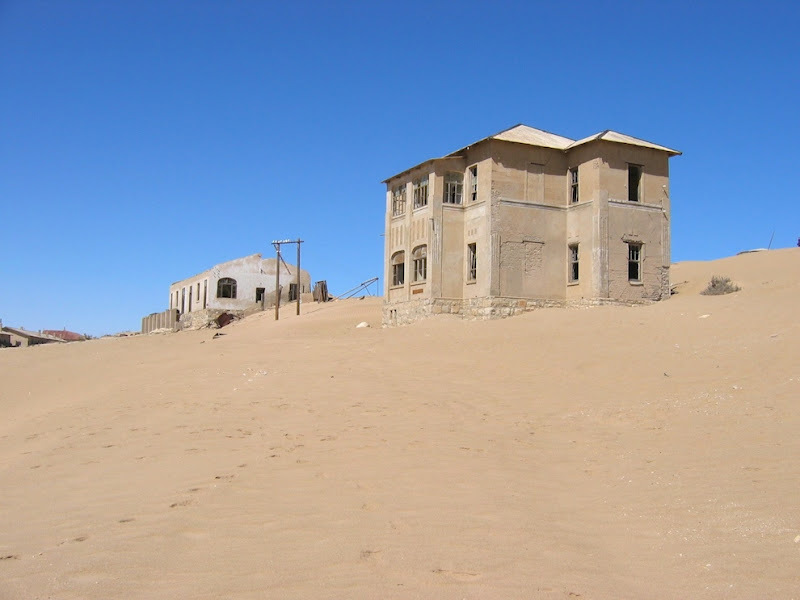 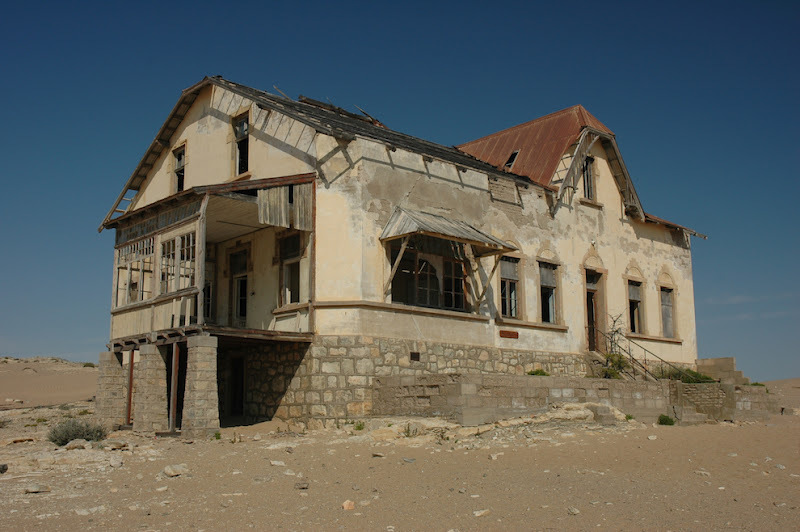 In the 1900s, diamonds were discovered just sitting upon the sand, waiting to be found, so people from all over the world with diamond fever flocked from the port of Lüderitz to the once desolated lonely desert. 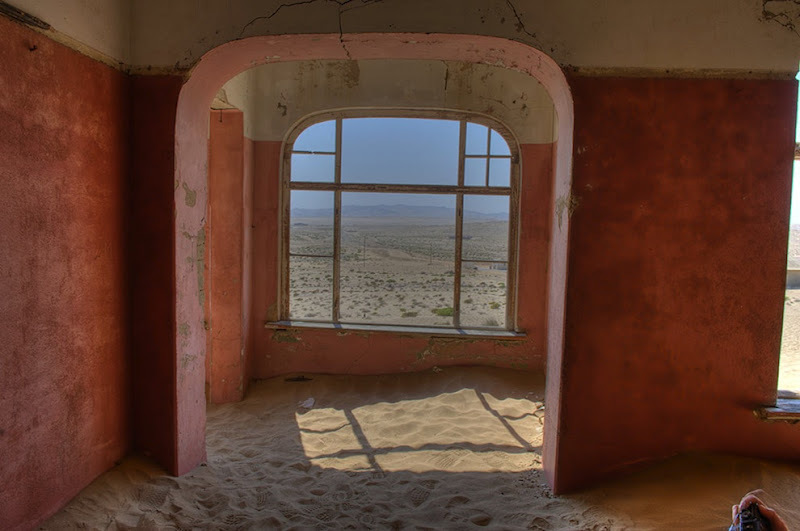 Kolmanskop became a mining town, but after the First World War when diamonds sales dropped, the sand-clearing squad failed to show up. 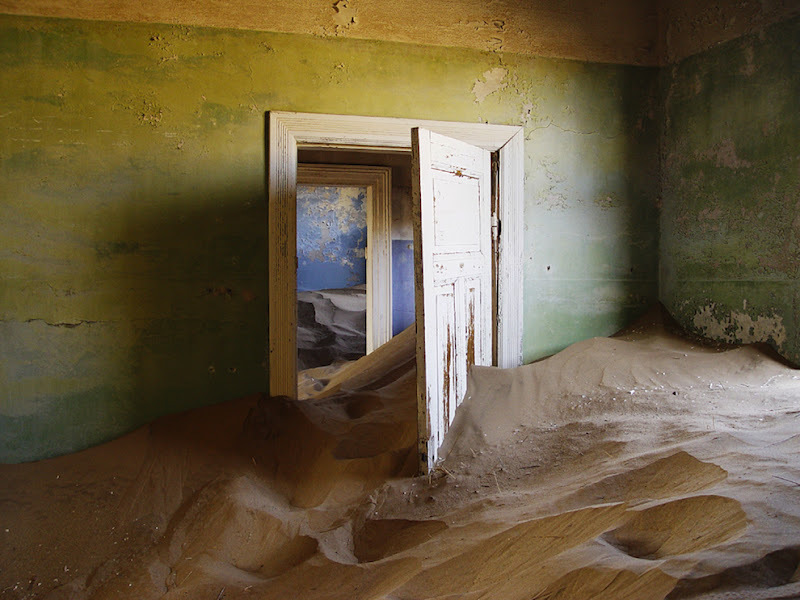 That was the beginning of the end; Kolmanskop turned into a ghost town being buried by sand and trapped in time. 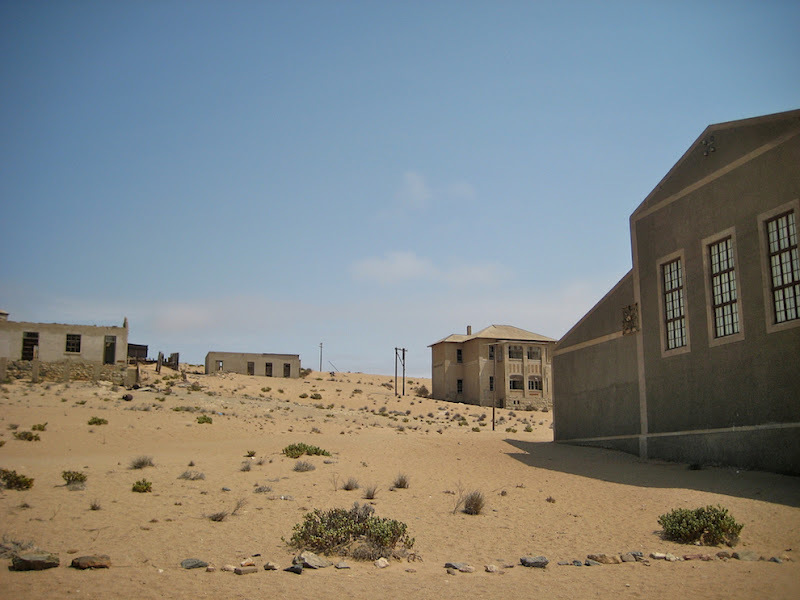 The TV show Destination Truth visited this ghost town since it is highly rumored to be haunted. 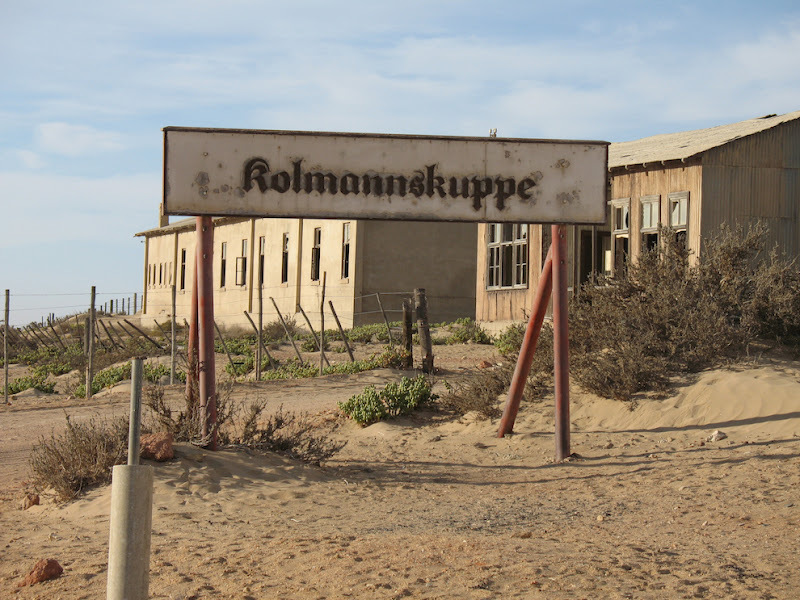 They were not disappointed, having captured EVPs of ghosts whispering, seeing shadows, hearing footsteps, and having the fluff scared of out them in Kolmanskop. 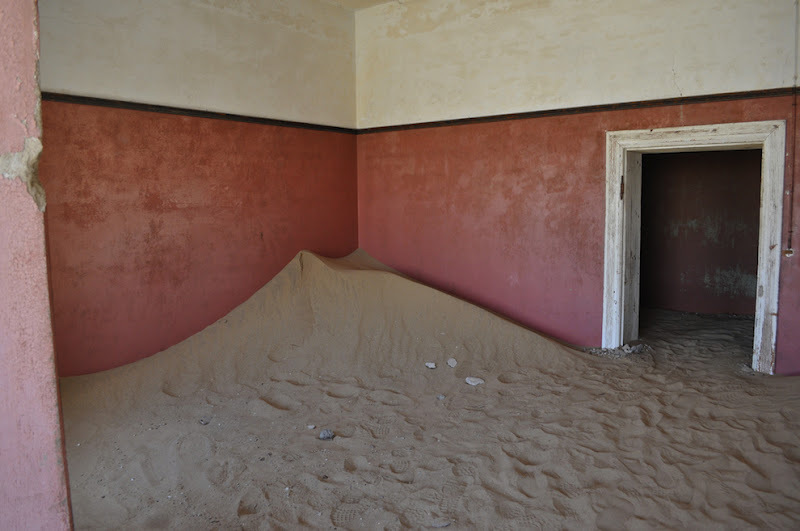 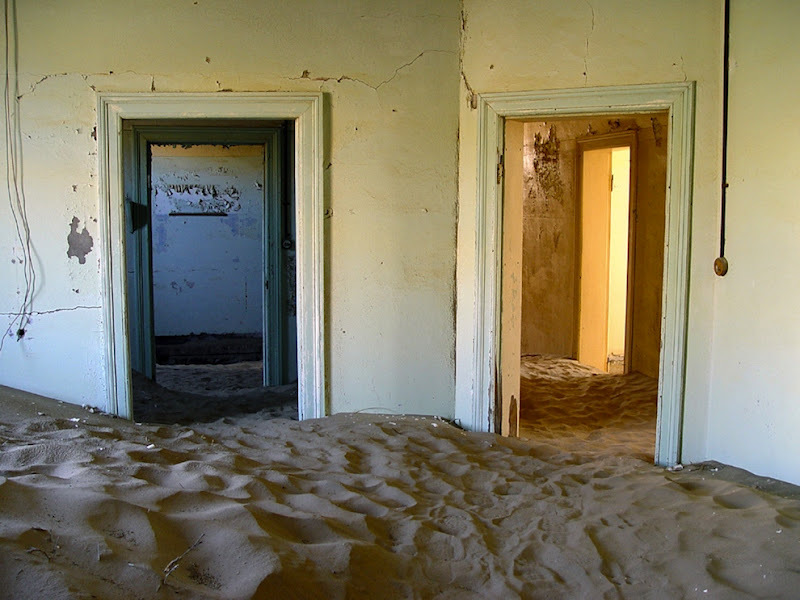 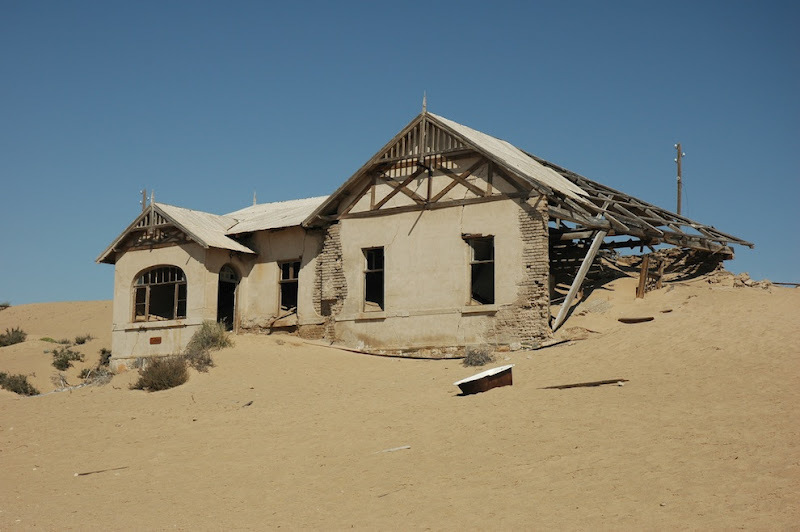 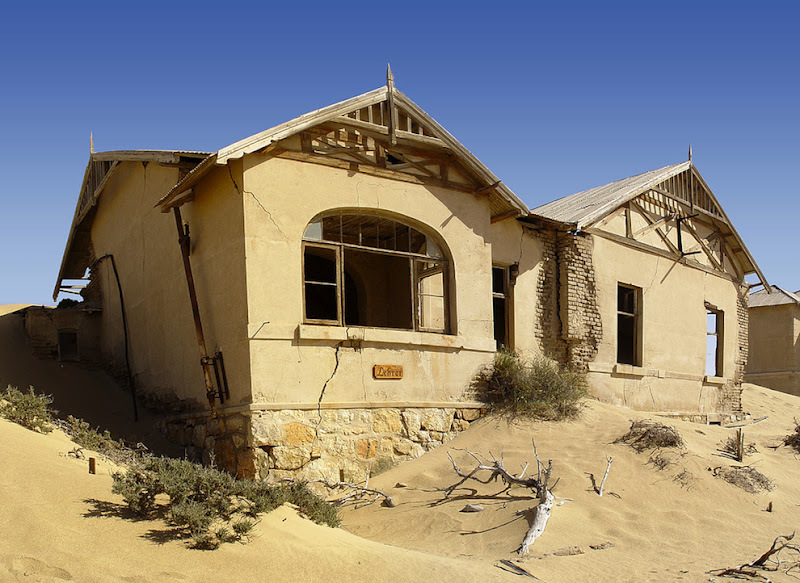 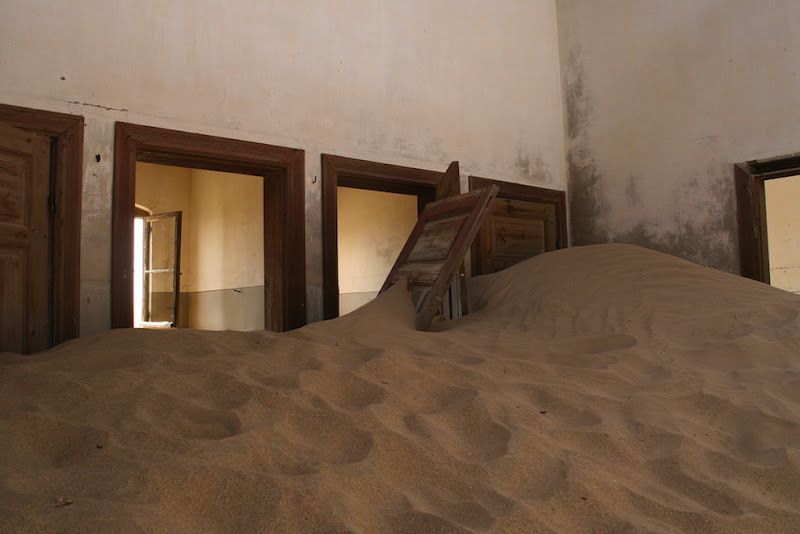 3 responses to "Creepy Kolmanskop Ghost Town (21 PICS)"